But the high priest rose up and all who were with him, that is, the party of the Sadducees, and filled with jealousy they arrested the apostles and put them in the common prison. 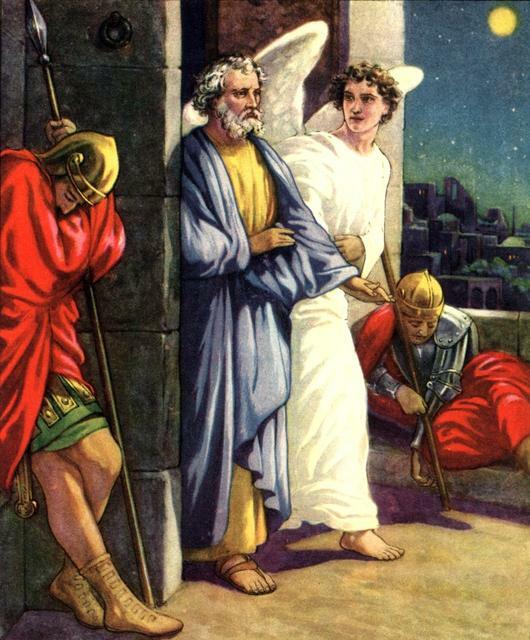 But at night an angel of the Lord opened the prison doors and brought them out and said, “Go and stand in the temple and speak to the people all the words of this Life.” And when they heard this, they entered the temple at daybreak and taught. Here we could focus on the apostles’ escape from prison in verse 19—the angel of the Lord lets them out during the night. But I don’t want to focus on the preciousness of such wonderful deliverances by itself, because they are not promised for every trouble (cf. Luke 21:12–16), and we could fall into a triumphalist way of thinking about power that would be very harmful—in Acts 7:58 Stephen is stoned to death even though he is filled with the Spirit and spoke with power. In Acts 12:1 James, the apostle, is killed by Herod. No angel came to rescue them. It is precious when he comes. But it is also precious when he doesn’t. That’s what I want you to see. The preciousness of spiritual power is that it is God’s power and not ours. The preciousness of spiritual power is that it is finally in God’s control, not ours. It comes—or does not come—according to God’s sovereign will. The angel of the Lord came to rescue the apostles—this time. But he did not come for Stephen. He did not come for James. He came again and again for Paul and for Peter. But there were many times when he did not stop the beatings and lashings and stoning and shipwrecks. And there was one last time when he did not stop the sword. The extraordinary spiritual power of God is precious because it is God’s and it comes—or does not come—according to his free choice. It is a precious thing for such great power to be in the hands of an all-wise, loving God. I really needed to hear this today thanks. A local teenager was recently healed of terminal cancer after being prayed for by the same leader who told me that my daughter had died because of ‘lack of faith’. I rejoice that this young man has been healed. I had been praying for his healing and was encouraging others to do so also. However the fact that his healing came through the same person who spoke these words to me shortly after my daughter died has been particularly difficult. What you have quoted today helps so much, thanks again.